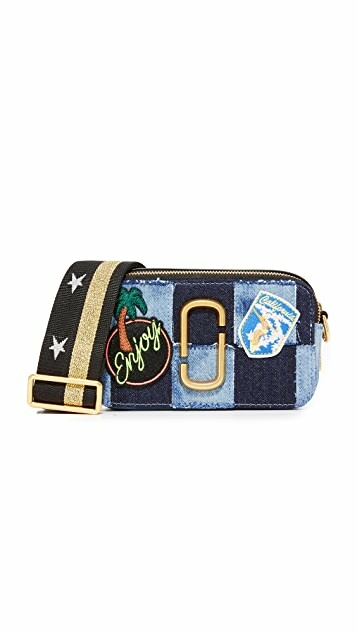 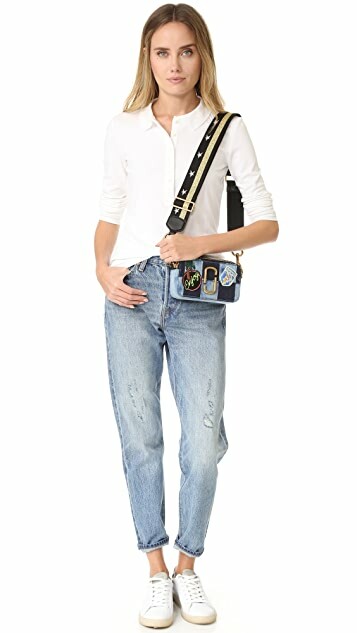 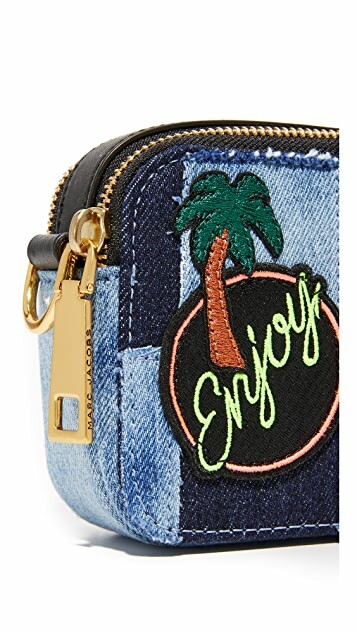 This petite Marc Jacobs cross-body bag is rendered in checkered denim and detailed with colorful patches and a logo emblem. 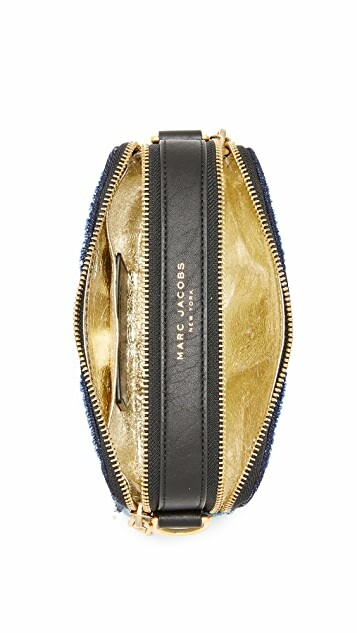 The 2 top zips open to metallic leather-lined compartments. 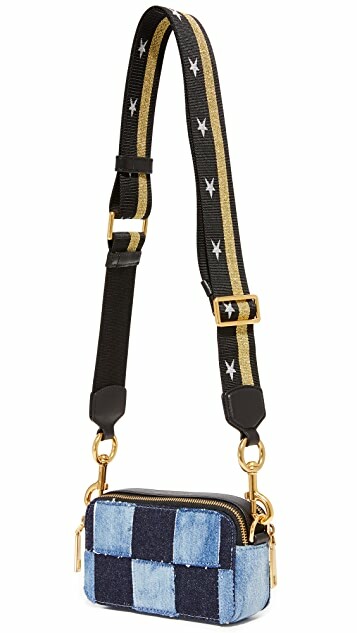 Optional, adjustable shoulder strap.